In case you’re wondering, yes – that is a sample size of Sunday Riley C.E.O. Rapid Flash Brightening Serum. You see, I wasn’t sure if I’d like it or not and didn’t want to fork out £70 for the privilege of finding out. So I did what I always do in these cases: wait for the holidays. Holiday season is the best time for skincare shopping. You can bag gift sets full of a brand’s bestsellers to satisfy your curiosity – for less than half the price. If you dig everything, awesome. If you’re stuck with a dud, no harm done. Tetrahexyldecyl Ascorbate is a form of Vitamin C that’s oil-soluble. This matters because your skin’s protective barrier is oily, so anything water-based has a hard time getting through (it’s not impossible, just more difficult). Its oil-soluble properties mean that Tetrahexyldecyl Ascorbate penetrates skin faster and goes in deeper than any other form of vitamin C (including L-Ascorbic Acid – the pure form). Antioxidant: it destroys the free radicals that cause premature wrinkles. 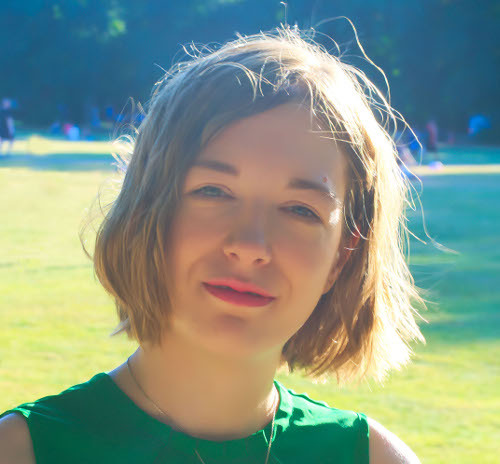 Less effective than L-Ascorbic Acid: we know that Tetrahexyldecyl Ascorbate penetrates skin better than L-Ascorbic Acid but we don’t know if it’s just as (or more) effective. Usually, derivatives aren’t. No ferulic acid: studies show that vitamin C is more effective when used with its BFF vitamin E and ferulic acid. This serum only has vitamin E.
If you want your skincare products to be backed up by as much science as possible, you’re better off with one that contains L-Ascorbic Acid + vitamin E + ferulic acid. Drunk Elephant C-Firma Day fits the bill. 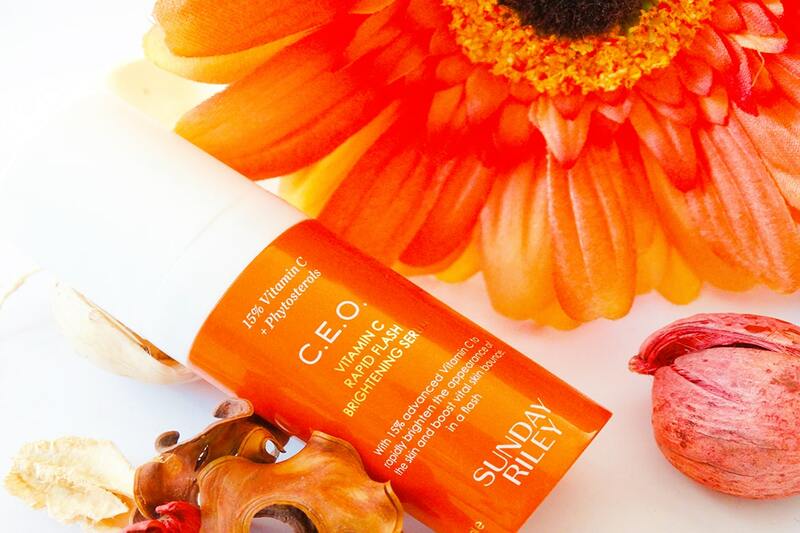 If your skin can’t take L-Ascorbic Acid, then using products with a Vitamin C derivative like Sunday Riley C.E.O. Rapid Flash Brightening Serum makes more sense. Related: Is Tetrahexyldecyl Ascorbate The Best Vitamin C Derivative? Is it me or every brand is switching to squalane lately? I totally see why. It’s one of the few oils that’s 100% safe and non-comedogenic for everyone, including people with fungal acne. Squalane works because it’s very similar to human sebum, your skin’s natural moisturiser. In other words, your skin recognises it straight away, allowing it to sink quickly and deeply moisturise your skin. It strengthens the skin’s protective barrier, moisturises skin and keeps it soft and smooth for hours. Sunday Riley C.E.O. Rapid Flash Brightening Serum has a white, creamy texture that reminds me more of a lightweight lotion that a serum. On my dry skin, it sinks in quickly without leaving a sticky residue behind. I can’t say I saw a big improvement in my skin, though. My skin looks a little brighter and more awake, but that’s pretty much it. I’m confident that vitamin C is also fighting free radicals, keeping those pesky premature wrinkles off my face. But it would do it a lot better if the serum contained more antioxidants. Overall, I’m on the fence. Sunday Riley C.E.O. Rapid Flash Brightening Serum does what every other vitamin C serum does. It just never goes the extra mile. Sunday Riley C.E.O. Rapid Flash Brightening Serum has the texture of a lightweight lotion. It helps prevent wrinkles and brighten the skin tone, but the scent can be irritating. Have you tried Sunday Riley C.E.O. 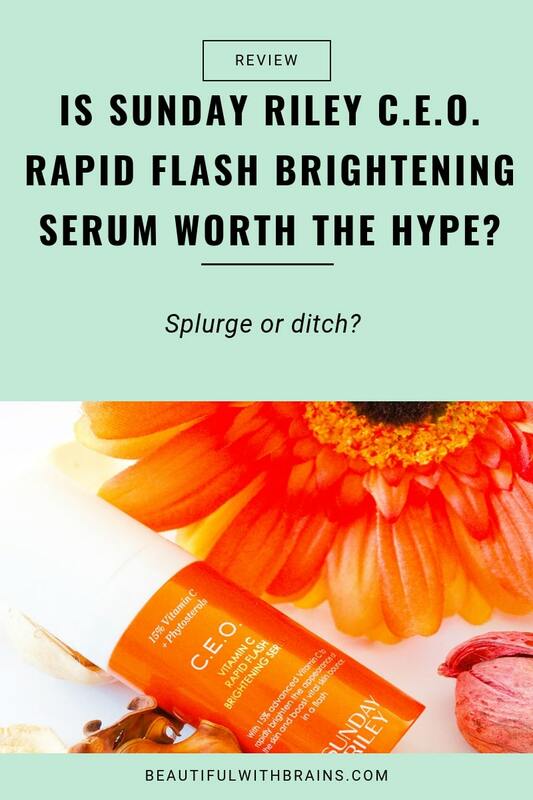 Rapid Flash Brightening Serum? Share your thoughts in the comments below. Hi! I love the Sunday Riley line especially the Luna Oil. But like you, I thought the CEO serum was meh. I’ve switched everything over to Tatcha and am so pleased that I did. My old skin is loving it.